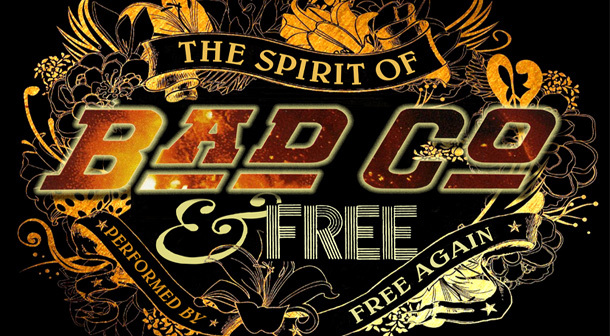 The Spirit Of Bad Company & Free play Backstage at the Green Hotel Kinross on Saturday 2nd March 2019 at 9.00pm for EMS /Mundell Music. Tickets £20. Buy Tickets HERE. This is not a heavy rock night by any stretch, the music is more than that…much more. It’s a delicate blend of vocals, guitars and piano punctuated by a dynamic rhythm section to produce timeless, melodic classics. The line-up, made up predominantly from the touring band Hotel California Scotland, sympathetically and faithfully recreate the authentic sound and feel of the ultimate Paul Rodgers back catalogue. With the same exacting attention to detail that has made Hotel California Scotland such a popular crowd pleaser in the theatres across Scotland, Free Again Band are set to do it all again with a brand new, never been attempted show. Expect a set that includes classic tracks ranging from Feel Like Makin’ Love to Wishing Well; All Right Now to Can’t Get Enough. You will also hear an acoustic section with beautiful piano melodies and vocal harmony. The back catalogue is exceptional, appealing to audiences of every age, evoking memories and touching the hearts and souls of each new generation. This concert promises to be a fantastic night to remember for all Free and Bad Company fans, young and old, new or long-standing. If you liked what we did with the Eagles music, there’s every chance you’ll love this too!